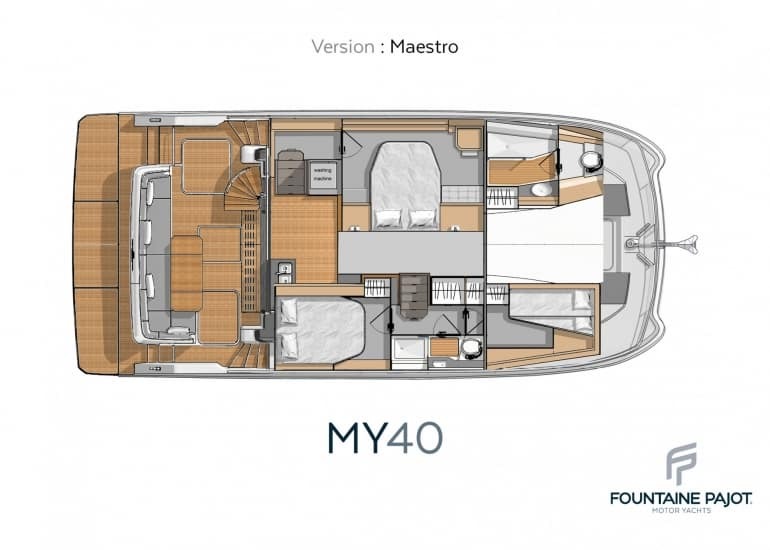 Following the great success of the MY 44, Fountaine Pajot decided to keep up the collaboration with one of the most famous designers of the nautical Industry specialized in luxury designed products: Pierangelo Andreani Yacht Design. 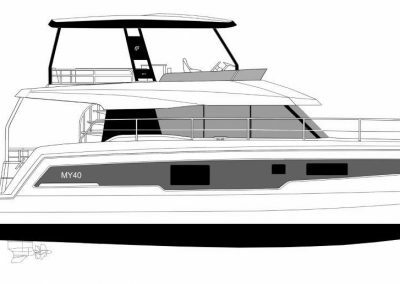 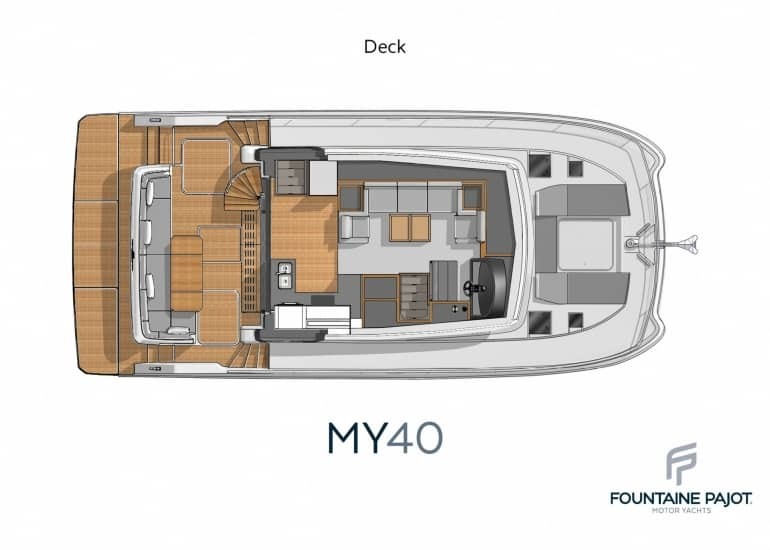 Like the MY 44, the hull of the smaller sister MY 40 has also been designed by Daniel Andrieu, known for his experience in the motor yachts market, a guarantee for high performance and seaworthiness. 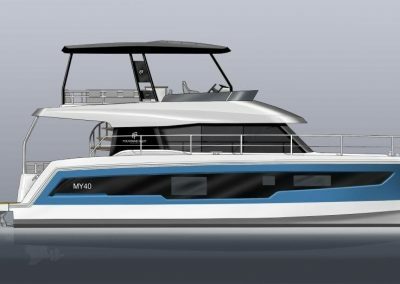 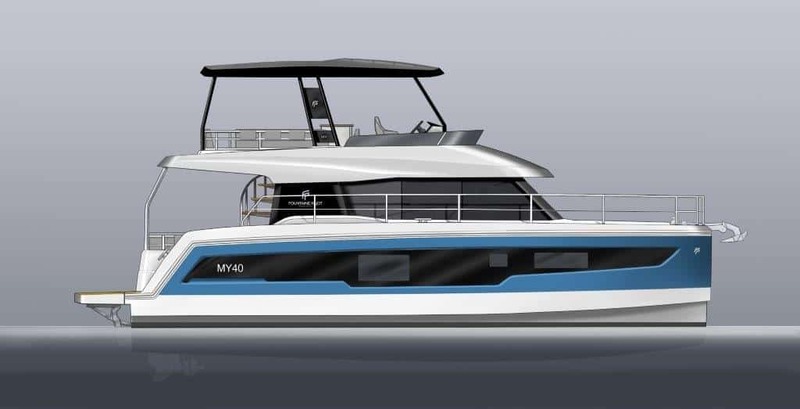 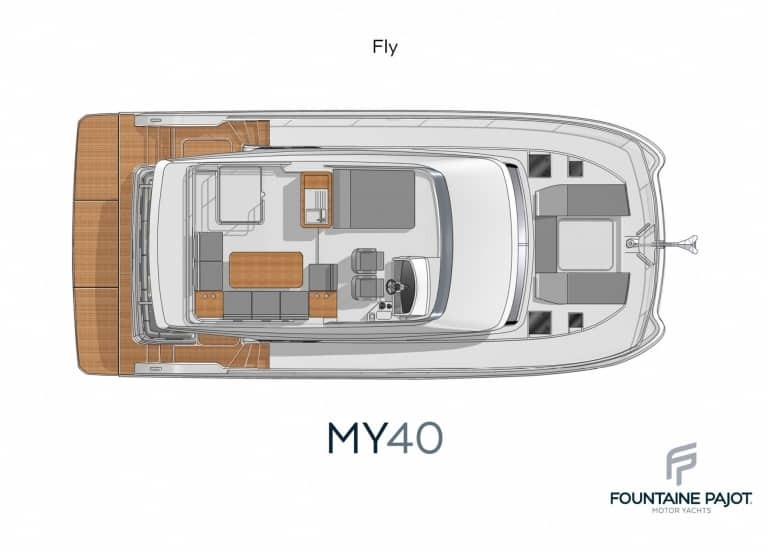 The new MY 40 strengthens the Fountaine Pajot Motor Yachts range and keeps all the MY 44 assets, multi-awarded this year by the European and international boating media. 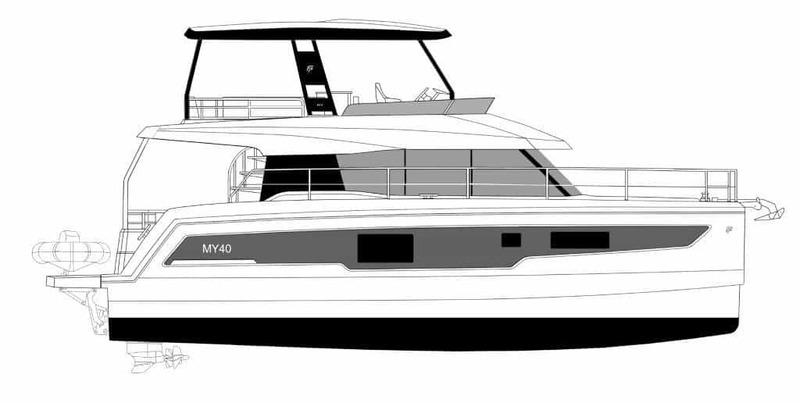 This true motor yacht stands out by her fine lines, stylish design and by the wide spaces throughout the boat.